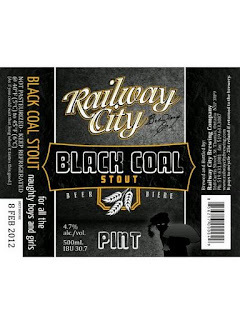 With an almost instant sellout just before the holidays, Railway City Brewing crafted a second batch of their latest seasonal beer Black Coal Stout. Released on Thursday, January 12th at this month’s edition of the brewery’s Thursday Night Session tasting series, it was also available at the London Food & Wine Show. Probably their best seasonal to date, this is definitely worth trying. 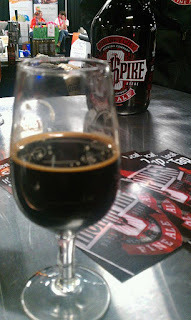 At 4.7% ABV and just over 30 IBU's, this is a stout light like Guinness, but big on aroma with pleasant bitter coffee / roasty flavour.